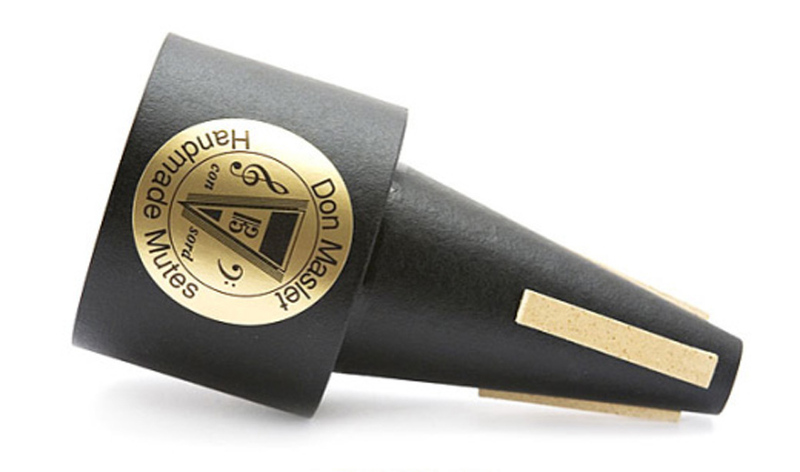 This Don Maslet Fat-end straight mute offers something slightly different to the standard straight mutes on the market, not only due to the fibre material (as opposed to aluminium) but also due to the design. A common problem with fibre mutes is the constraints that the material places on the shape of the mute. Conical mutes very often suffer from a poor response in the lower register and notes above top G tend to close in and go out of tune. Having a large cylindrical resonating chamber, addresses these issues throughout the tessitura, and this mute has a similar response to that of a metal mute, but without the hard metallic edge.